04/27/2009 - Early Ice Out!! Ice out on the Flambeau Chain occured several days earlier in 2009 than last year. The best time to fish in early May will be late afernoon and evening no matter what you are fishing for. Sunny days and warming temperatures trigger the food chain. This is by far the best time to fish all through May & June. But it is even more so in early May when the water is cold! 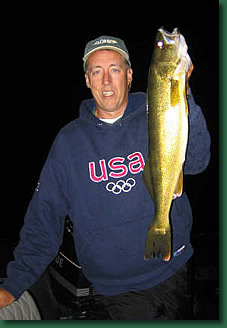 Warm sunny days make for the best nights to fish for Walleye or late afternoon Bass & Crappie!